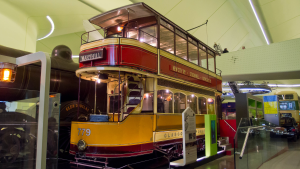 The Riverside Museum of Transport and Travel is one of Glasgow’s most fascinating attractions that will appeal to all the family, and bring back happy memories for many. Glasgow is worth visiting for many reasons. For a lot of people it’s the shopping, but if you’re in the city I would recommend you take the time to visit this wonderful museum. There is no doubt this is a fun day out, especially when the kids get a laugh at some of our older modes of transport. Seriously though, it really is an eye opener to see just how much transport has changed over the years, thanks to modern technology. The exterior of the building, with its strikingly modern design, is inspiring, and it adds to the mystique because it doesn’t give you the slightest hint of what you’re about to find inside. It’s a bit like crossing an invisible line that takes you into another time zone. When you step inside this multi-award winning museum, you’ll be greeted with over 3,000 fascinating objects to feast your eyes on. There are old prams, trams, trains and buses, bicycles, vintage cars, and much more of Old Glasgow and its transport history. But there’s much more…. There are interactive displays, and three old street scenes, complete with shops that you can access, showing Glasgow as it once was, and bringing it to life. 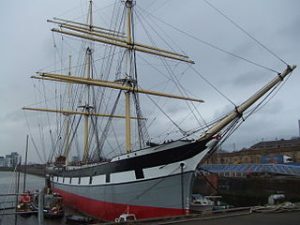 The S. S. Glenlee is berthed in Pointhouse Quay, right outside the Riverside Museum, and it’s FREE to visit, except for groups of eight or more, when a small entry charge is payable. This is the the United Kingdom’s only floating Clyde-built sailing ship. It is owned and operated by the Clyde Maritime Trust. She was built in Port Glasgow in 1896, and traded as a cargo ship. From 1922 she was a sail training ship in the Spanish Navy. So there are. Not only can you have a great day out visiting the Riverside Transport & Travel Museum, you also get to see the tall ship as an added bonus. There is even an under 5s play area in the cargo hold, so young children won’t get bored. Kelvingrove Art Gallery: Kelvingrove Art Gallery and Museum, with one of Europe’s great civic art collections is Scotland’s number 1 free visitor attraction, and well loved. 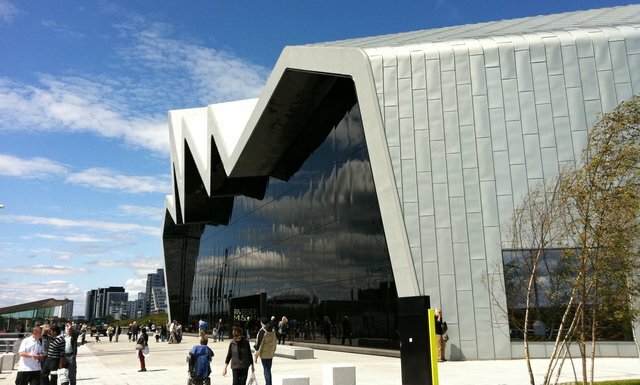 Glasgow Science Centre: This science and technology museum was awarded a five star rating in the attraction category by the Scottish Tourist Board, Visit Scotland. Blair Drummond Wildlife Safari Park: The children definitely won’t get bored, when you consider the number of attractions that make up this whole wildlife adventure.